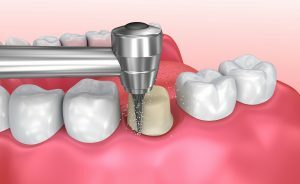 A crown is an artificial restoration that fits over the remaining aspect of a prepared tooth, providing extra strength whilst maintaining the shape of a natural tooth. 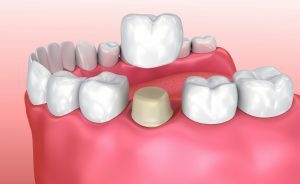 Following a Root Canal Treatment in order to protect what is left of the tooth. 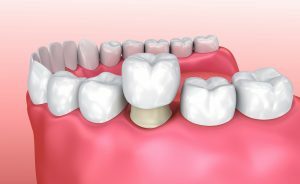 To improve the appearance of a tooth, following a discoloured filling. To help hold a bridge or denture firmly in placed. To maintain the longevity of a crown, we at LeoDental strongly recommend you keep the crown as clean as your natural teeth. The crown itself cannot decay but decay can always creep around the edges. Good dental hygiene is paramount to prevent this. Having a crown can be a daunting process, so we at LeoDental have created an information leaflet, downloadable below, to help answer any queries you may have. Always brush your teeth twice daily, clean between your teeth using ‘interdental’ brushes or floss and come in for regular hygiene appointments and dental check-ups at LeoDental.